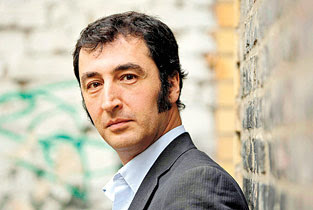 Cem Özdemir tells public audiences how he was wrapped in a towel in a Turkish bath when a German woman walked in naked. So he dropped his towel "to show that I was well integrated at home in Germany." The story is Özdemir's way of showing that even though he's an ethnic Turk, he is comfortable with German ways. And the message is all the more important now that he will be named co-leader of the influential Green Party this weekend. The appointment will make him the highest-ranking ethnic Turkish politician in a country that still tends to keep its Turkish minority at arm's length. On a continent that has struggled to produce leaders from minority communities even as it celebrates the triumph of Barack Obama in the United States, Özdemir stands out as a rare politician who has broken racial barriers to win national prominence. Born to Turkish Muslim parents in Swabia, a culturally proud region in a heavily Roman Catholic state, Özdemir, 42, often finds himself straining to prove that Germany's 2.7 million ethnic Turks are invested in society. He also takes pains to quell Turkish suspicions that Germans are conspiring to keep them out of power. "Sometimes I feel like I'm the one who translates and explains how the others behave, think, dream," he says. Relations between Germans and Turks are generally civil but not warm. Germans fret over the divide between their secular values and Islamic culture, while Turks struggle for access to quality schools and positions of power. Five Germans of Turkish origin serve in Parliament, but none has joined their party's leadership or Cabinet. And while Turks have found success in independent businesses and the arts, they have little presence in the management of major German companies.